A Beauty Secret since 1935. The creation of a visionary Master Perfumer, Francois Coty, Airspun is a loose face powder blended with air, providing the ultimate in coverage with a lightweight feel. Today it is a must-have for highlighting and contouring. 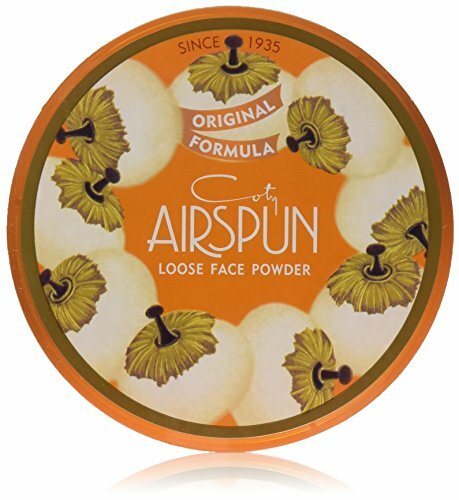 Light-as-air and yet velvety soft, Airspun powder provides a truly flawless finish. 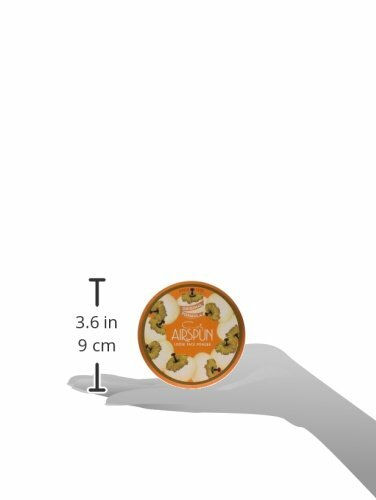 Airspun is packaged in a unique round canister with a powder puff applicator. Featuring an exclusive Microspun formula where loose powder particles are spun and swirled until they reach a cloudlike softness. This ultra smooth powder hides tiny lines, winkles and blemishes and gives a new softness to your skin. Can be used to set makeup or as a foundation. 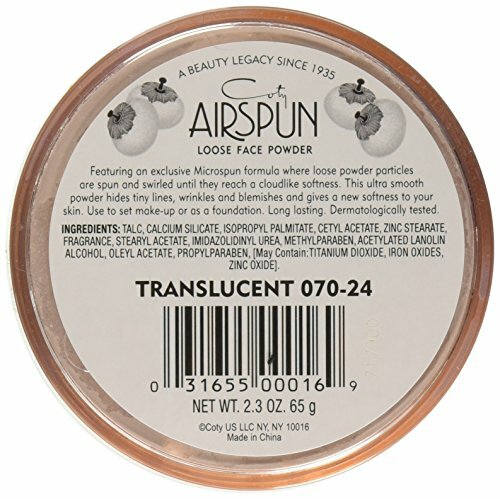 Translucent loose face powder will hide tiny lines, wrinkles and blemishes.HIDE LINES & WRINKLES: Coty Airspun Face Powder in a Translucent Tone is a loose face and setting powder that helps to minimizes the appearance of fine lines, wrinkles, acne, bumps, scars & other blemishes, giving your facial skin a smoother, softer look.